I like Craig Mod’s writing. He’s the guy that’s written on his need to walk, drawing his own calendar, and getting his attention back. 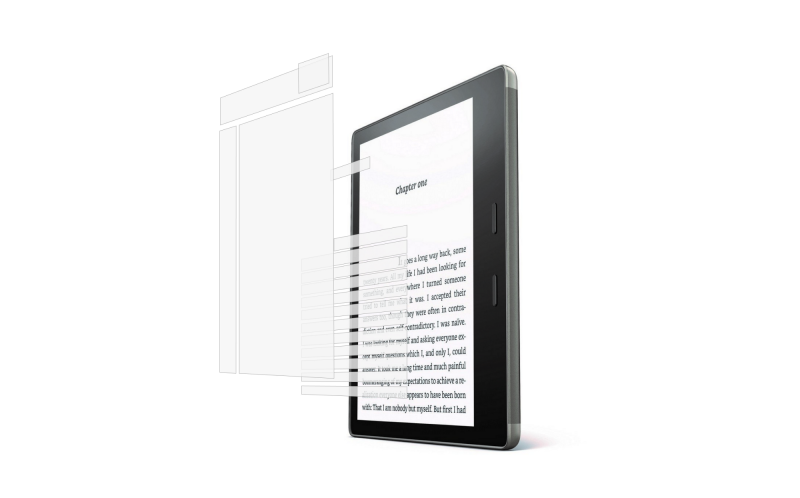 This article is hardware Kindle devices — the distinction being important given that you can read your books via the Kindle Cloud Reader or, indeed, via an app on pretty much any platform. Tap most of the screen to go forward a page. Tap the left edge to go back. Tap the top-ish area to open the menu. Tap yet another secret top-right area to bookmark. This model co-opts the physical space of the page to do too much. The problem is that the text is also an interface element. But it’s a lower-level element. Activated through a longer tap. In essence, the Kindle hardware and software team has decided to “function stack” multiple layers of interface onto the same plane. And so this model has never felt right. It means we can now assume that — when inside of a book — any tap on the screen is explicitly to interact with content: text or images within the text. This makes the content a first-class object in the interaction model. Right now it’s secondary, engaged only if you tap and hold long enough on the screen. Otherwise, page turn and menu invocations take precedence. I can see why he proposes this, but I’m not so sure about the physical buttons for page turns. The reason I’d say that, is that although I now use a Linux-based bq Cervantes e-reader, before 2015 I had almost every iteration of the hardware Kindle. There’s a reason Amazon removed hardware buttons for page turns. I read in lots of places, but I read in bed with my wife every day and if there’s one thing she couldn’t stand, it was the clicking noise of me turning the page on my Kindle. Even if I tried to press it quietly, it annoyed her. Touchscreen page turns are much better. When content becomes the first-class object, every interaction is suddenly bounded and clear. Want the menu? Press the (currently non-existent) menu button towards the top of the Kindle. Want to turn the page? Press the page turn button. Want to interact with the text? Touch it. Nothing is “hidden.” There is no need to discover interactions. And because each interaction is clear, it invites more exploration and play without worrying about losing your place. This, if you haven’t come across it before, is user interface design, or UI design for short. It’s important stuff, for as Steve Jobs famously said: “Everything in this world… was created by people no smarter than you” — and that’s particularly true in tech. I must admit, I am new to the whole design world. Even though it drives me crazy at times – often because I have little control or influence over it – it is one of the things that I have enjoyed about my current work. Thinking deeply about users and how to streamline various processes has been really interesting.